(as well as the gekisai kata and tensho that Miyagi is known to have created). The theory and its supporting arguments were recently published in an article a few months back in Journal of Asian Martial Arts (16:4, 2007) entitled “A Preliminary Analysis of Goju-Ryu Kata Structures” by Fernando Camara and Mario McKenna. For those who cannot access the article, you’ll get the gist of Mario McKenna’s argument here: on his blog1. Researcher Joe Swift explores what is principally the same theory in his Meibukan Magazine article "The Kempo of Kume Village"2. The principal sources for this theory are Shigekazu Kanzaki and Katsumi Murakami, who were both students of Juhatsu Kyoda, Kanryo Higaonna’s most senior student and Chojun Miyagi’s sempai. Their evidence is that, according to Kyoda, Higaonna only taught 4 kata — ie. cluster H. In other words, Juhatsu Kyoda was never taught the katas that comprise cluster M.
This is supported by the fact that today Kyoda’s school of tou’ on ryu (tou’on being another way of pronouncing the characters of Kanryo Higaonna’s name) does not teach cluster M. Instead the tou’on ryu syllabus teaches cluster H (with the exception of seisan — they teach Kanyu Higaonna’s version, not Kanryo Higaonna’s), together with Gokenki’s nepai and the shorin ryu kata jion. As far as I am aware none of Higaonna's other students who went on to study with Miyagi (eg. Seiko Higa) claimed to have learned cluster M directly from Higaonna. In Seiko Higa's case his sanseru (from cluster H) has small, but significant, differences to Miyagi's. The same does not appear to be the case in relation to any cluster M kata. Similarly, ryuei-ryu's cluster M kata are very close to goju's (closer in some respects than even shito-ryu). While they claim their kata were passed down from Ru Ru Ko to Norisato Nakaima then Kenko Nakaima, I find this unlikely in the extreme - one would inevitably expect a far greater difference if this were be true. 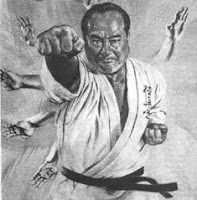 Rather I think it is almost certain that Kenko Nakaima also learned his cluster M kata from Miyagi or one of Miyagi's students. In the end, it seems that Miyagi was the only person to have taught cluster M (assuming I am correct about Mabuni and Nakaima). Even if Higaonna passed all the cluster M down to Miyagi, he did not do so to anyone else (again, assuming I am correct about Mabuni and Nakaima). So the “cluster M” tag would be accurate in this sense at least. But why would Higaonna teach an extra 5 kata to one student (Miyagi) and not teach them to any other student — including his most senior student, Kyoda? And when would he have done so? 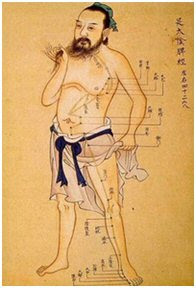 It is known that Miyagi tended to Higaonna in his final years of ill health. Was it then? Would his health have permitted it? (b ) it seems that Miyagi was away on military service when Kyoda was taught it. Is it possible that Miyagi didn’t demonstrate sanseru because he didn’t know it at that point? Might he have learned his version of sanseiru from the gentleman to whom he was demonstrating kata? In any event, I actually find it odd that Miyagi would have demonstrated 8 kata. I've been asked to demonstrate forms to Chinese stylists and the most I have ever managed is 3. For my part I've come to the view that kata origins can be determined by deconstruction of technique. I liken this process to DNA sampling to determine human origins. For example many early researchers postulated that the indigenous people of Honshu in Japan, the Ainu, were Caucasian or perhaps related to the north American native population. These were reasonable assumptions given their totem/animist culture and physical appearance. However DNA analysis shows that they belong to the Y-haplogroup D common to some areas of Tibet and, curiously, the Andaman Islands of the Indian ocean! Their links to Caucasian or North American people are far more distant. I guess what I am trying to say is that, in a similar way, kata deconstruction shows surprising (and in my view, persuasive) evidence contradicting "conventional" history. In the case of the present issue, I feel that this deconstruction strongly contradicts “conventional history” and supports the theory espoused by Messrs McKenna, Camara and Swift. So what do I mean by “kata deconstruction”? 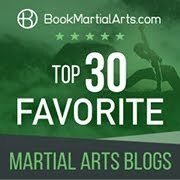 (b) the individual techniques employed in the kata (their nature and emphasis) , including ashi sabaki (footwork) and tenshin (evasion). In my mind there is no doubt that, from a architectural/design/structural perspective the katas comprising cluster H come from a different school than those comprising cluster M. I would guess that the latter are of later (post boxer rebellion) origin, where the former date from before the boxer rebellion. Why? Principally cluster H is asymmetrical (ie. right side biased) while cluster M has a consistent level of symmetry. However this is largely where the similarity ends. In the case of cluster H Module A consists of an opening sequence of 3 chudan uke and punches, terminating with a transitionary move. The following B modules tend to have a level of repetition, but all on one side. In other words, there is no attempt at symmetry in cluster H (reminiscent of, say, arts such as Yong Chun baihe (white crane). 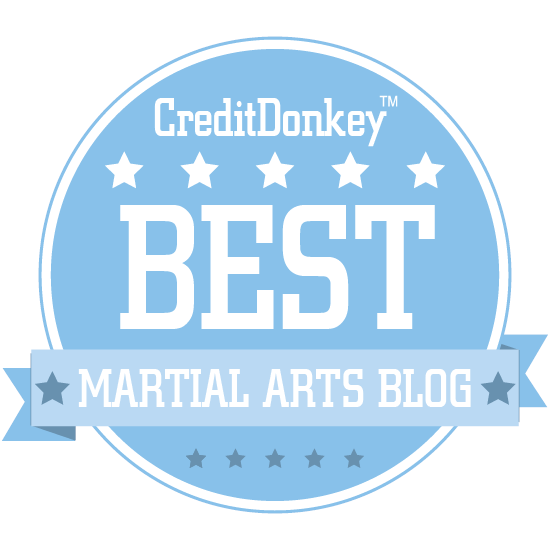 Module C is a combination of finishing moves constituting the double ko uke / fuk sau in sanseru and suparinpei or the neko ashi dachi in the case of sesan. It is worth noting that the tou’on ryu version of sanseru does not finish with the double ko uke / fuk sau, but instead finishes with a neko ashi dachi like seisan. In the case of cluster M, module A also consists of an opening move or moves except in the case of kururnfa (which launches straight into a B module). In sepai the opening module is quite extended and contains no repetition while in the remaining kata it constitutes 3 moves. Shisochin has the most “cluster H like” opening because it features 3 sanchin steps with blocks and thrusts (albeit open-handed). Many speculate that this gives it some nexus with cluster H, however I disagree. 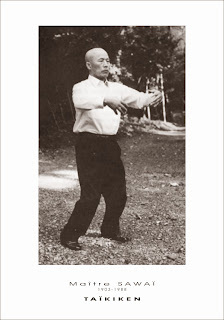 It is true that the cluster H opening moves might originally have been performed open-handed, however I think the techniques were more likely performed in the manner of uechi-ryu, eg. the thrusts were palm down. The hand positioning on the blocks and pullbacks is also subtly, but significantly, different. Otherwise shisochin is very much of the same design as the cluster M kata. The B modules of cluster M are generally a series of techniques that are repeated equally on both the left and right side. Again, kururnfa is the only exception insofar as it contains a B module that is asymmetrical (the breakout and throw – perhaps this is module A relocated). 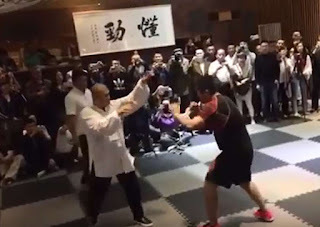 Otherwise, as with cluster H, module C comprises a finishing move ending in neko ashi dachi (an ending that seems common to Fujian forms regardless of pre-boxer or post boxer creation), with a mawashi uke and tora guchi in 2 kata, namely saifa and kururnfa. The double ko uke / fuk sau does not occur. For an insight into what sanseiru might look like if it were a designed along cluster M lines, take a look at my article: "Asymmetry in sanseiru". In my research I have found that 3 opening movements are common in monk fist/arhat boxing systems, perhaps because of Buddhist symbolism. 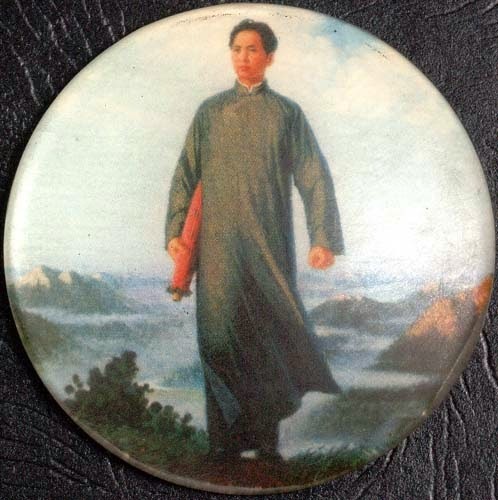 It seems to me that older Fujian systems of martial arts also tend to be asymmetrical, where newer ones tend to have a level of symmetry (perhaps indicating an influx of different schools to Fujian to replace those that had been purged in the aftermath of the rebellion). Cluster H tends to focus more on harder (ie. 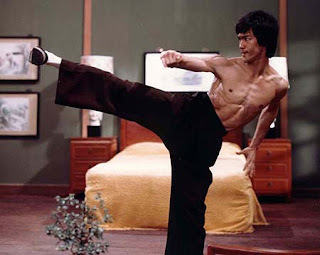 “go”) techniques of striking and thrusting, delivered with a sharper and crisper execution. Cluster M on the other hand has a greater percentage of softer (“ju”) techniques involving grappling and controlling and these are performed with a more “whip-like” action (consider kururnfa and saifa for instance). The variety of technique is also greater in the cluster M case; you would be hard pressed to find a substantial “double up” of techniques in any 2 cluster M kata, while cluster H is the opposite: The sukui uke (scooping block) and hike uke combination is repeated 4 to 5 times in sesan and suparinpei, the yoko geri kekomi kansetsu occurs before turning in sesan and sanseru, the double ko uke / fuk sau in sanseru and suparinpei, etc. Where and when could Miyagi have possibly picked up cluster M? 1 See Mario McKenna's article "Higaonna Kanryo and Nahate"
I have been watching your video's for some time. I really think you have got it, and have brought to light many things in Goju-Ryu. I am very interested in To-on Ryu Sanseiru kata. Is there any video of it online. Any info is most appreciated. Thanks. Thanks Jonathan. 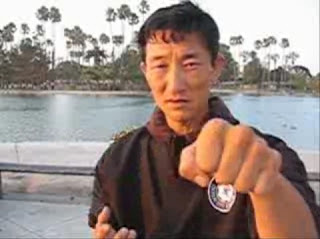 The only Tou'on Ryu stuff online is found either on Mario McKenna's Youtube page (http://www.youtube.com/user/bechurin) or on Patrick McCarthy's Youtube page (see his posting of nepai kata at http://www.youtube.com/user/mccarthysensei?blend=3&ob=5#p/f/3/IkDFzJjlGiw). I remember some people talking about the progression of the arts in China. Namely that the beginning lethal force methods were simple, and favored a user's strongest side (asymmetry). Linear force was preferred over circular misdirection. Later on, as people learned to use counters and circular defenses and deflections, people started having to learn symmetry to counter the counter. It matters less if your right hand dominant strike can kill, when the other person nullifies your strongest strength and counter attacks with their other hand. Especially when their other hand also deals lethal force. A dominant asymmetrical fighter is pretty much dead when a counter breaks his dominant side, via joint breaks or nerve hits. Thus we come to the soft defeating the hard. The circle defeating the straight line. People started with hard and linear attacks because they were the easiest to master, easiest to use, and the one with the most cost effect benefit against equal opponents or weaker ones. Compare this to modern life where most criminals are untrained hoodligans where hard and linear strikes will explode them both from the inside out and from the outside in, but many people continue to practice circular methods when they have yet to even master the linear ones. It's an example of a bit of anachronox so to speak. 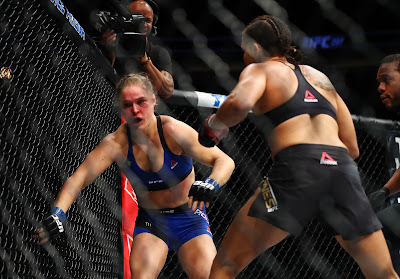 I think it is also similar to why boxing and mma prefer to put one foot always first, and then develop all their techniques based around that. That bit of asymmetry is to help deal with the fact that there is a severe skill deficiency in terms of the technique refinement, thus taking simplicity over complexity. By focusing on one body side attack/defense from one angle all the time, one can make up for the fact that one didn't have adequate training time to get everything straight. Min Maxing, basically. Effective when up against people who do the same thing as you or who are weaker, but those who are stronger, bigger, faster, more lethally dangerous or unpredictable, become harder to deal with. Then all the min maxing you did to increase your left or right at the expense of everything else, just means you become much easier to predict, read, and counter kill.